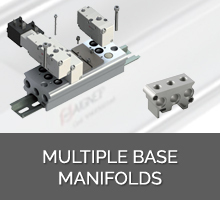 ATP distribute an extensive range of valve manifolds to suit most pneumatic applications. Click on a link below for more information. If your application requires a manifold not shown below then please Contact Us.